Magic In The Moonlight is a comedy. Woody Allen directed Magic In The Moonlight. It takes place in 1928. This movie is about a man named Stanley who is a magician. Stanley's friend Howard asks Stanley for help with a problem. A wealthy family that Howard knows thinks their son Brice is being enchanted by a woman named Sophia. They think that Sophia really may have magical powers and is trying to trick their son. Stanley thinks that Sophia genuinely has feelings for Brice. Stanley starts rethinking the way he sees things in his life. Stanley makes a public statement that he has finally found someone who is not a fraud, and that Sophia is the real thing. 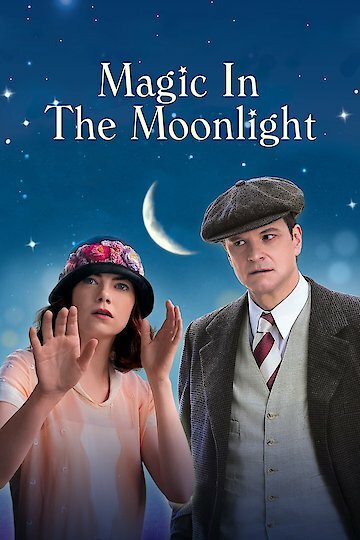 Magic in the Moonlight is currently available to watch and stream, buy on demand at Amazon, Vudu, Google Play, FandangoNow, iTunes, YouTube VOD online.